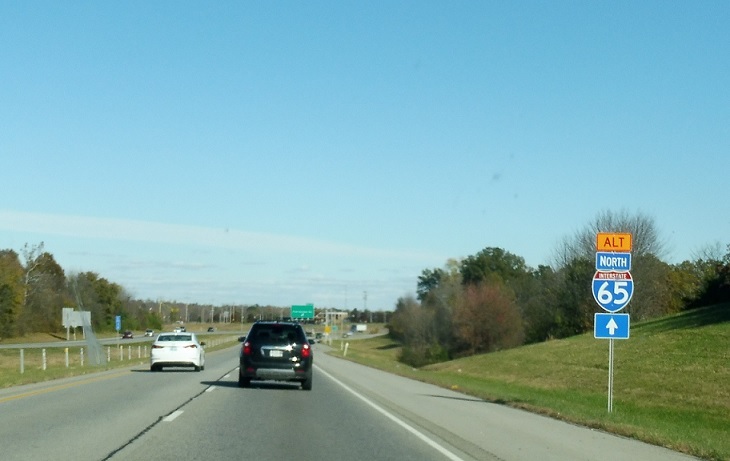 Reassurance shield as I-265 begins, carrying Indiana 62 with it. 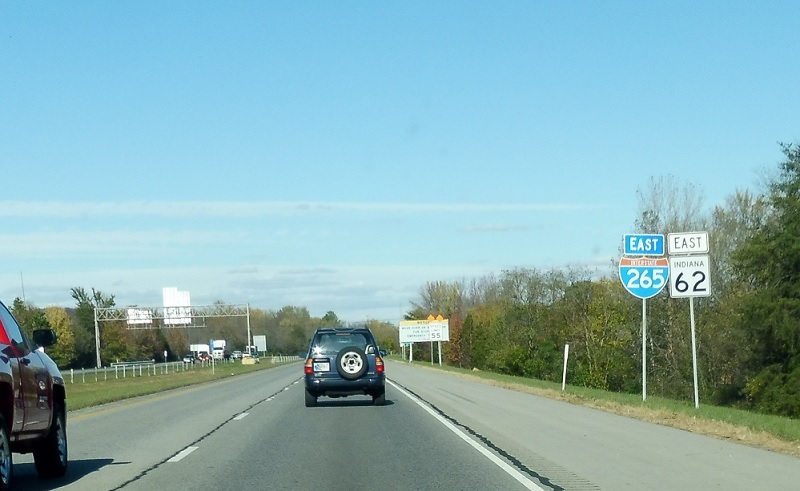 Reassurance shield after the Paoli Pike interchange. 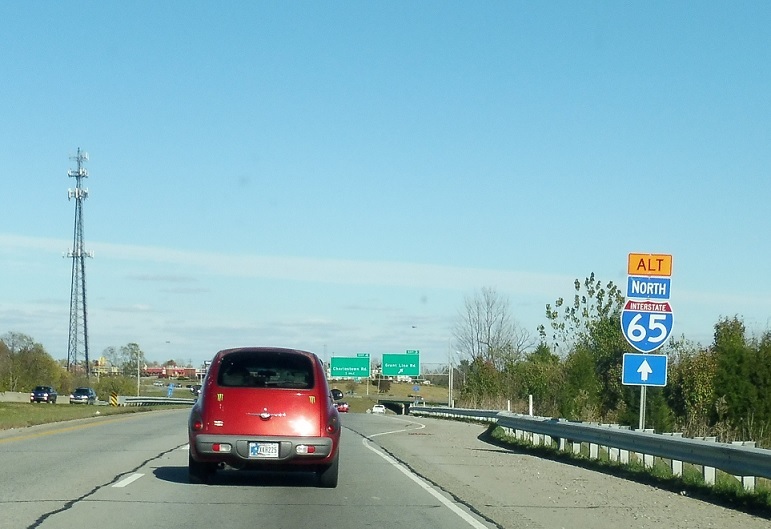 Six miles to Interstate 65. I think the other lines used to advertised now-decommissioned Indianas 211 and 311. 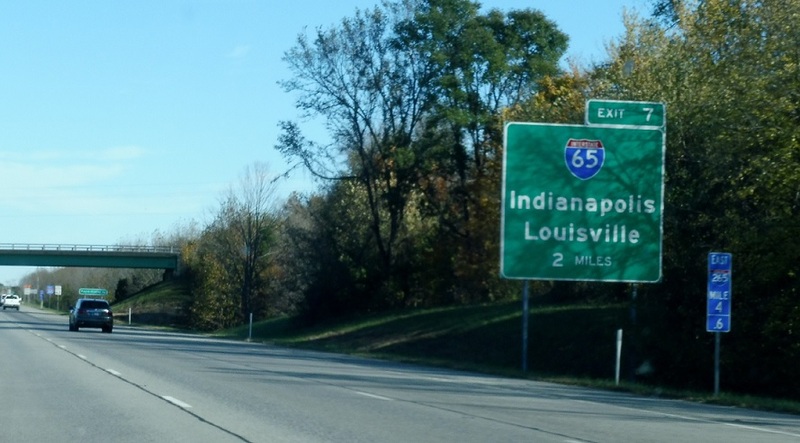 I-265 serves as an emergency detour to I-65. Reassurance shield after Grant Line Rd. 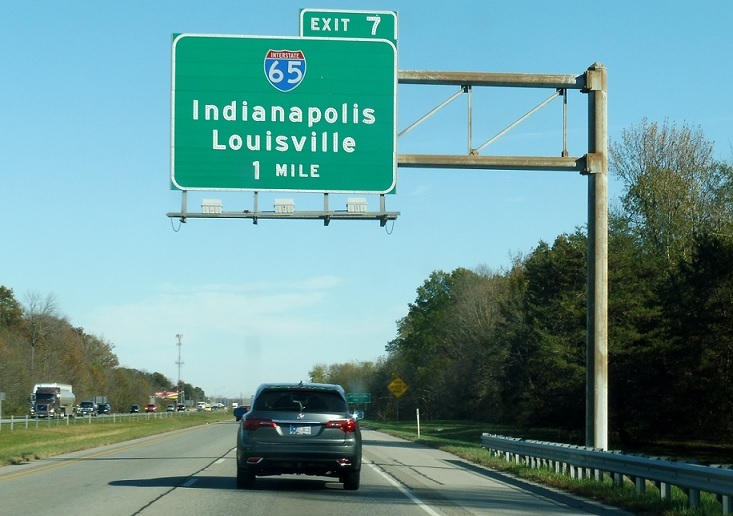 Stay on I-265 for Alternate I-65. 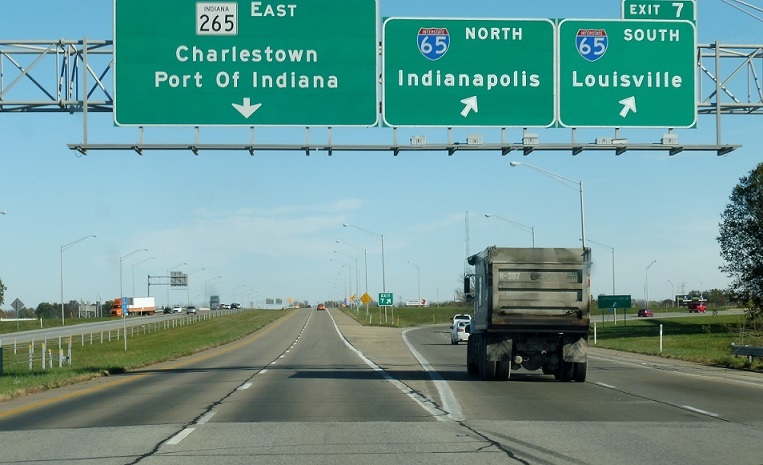 After Charlestown Rd, we’re two miles from I-65. Reassurance shield after the Charlestown Rd interchange. 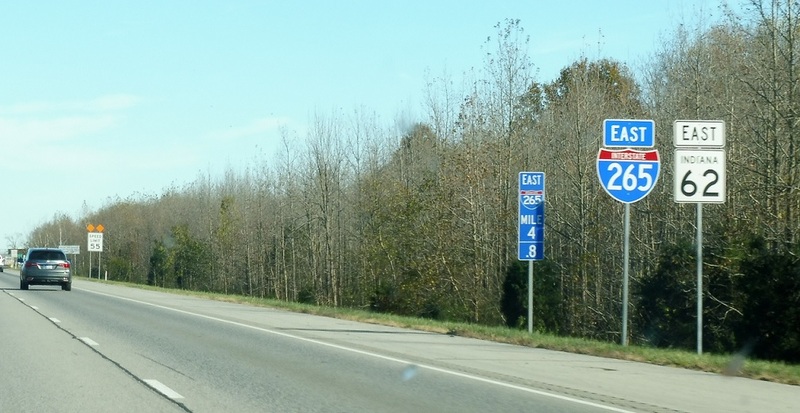 One mile to junction I-65. 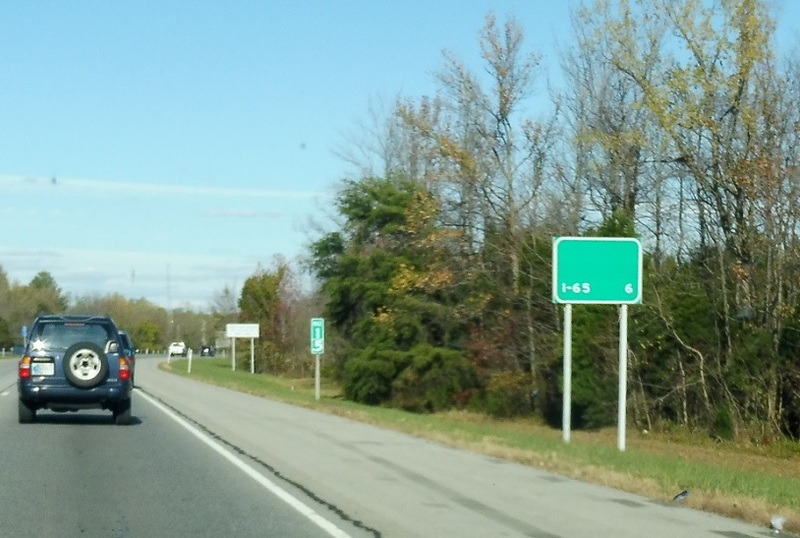 Exit for I-65. 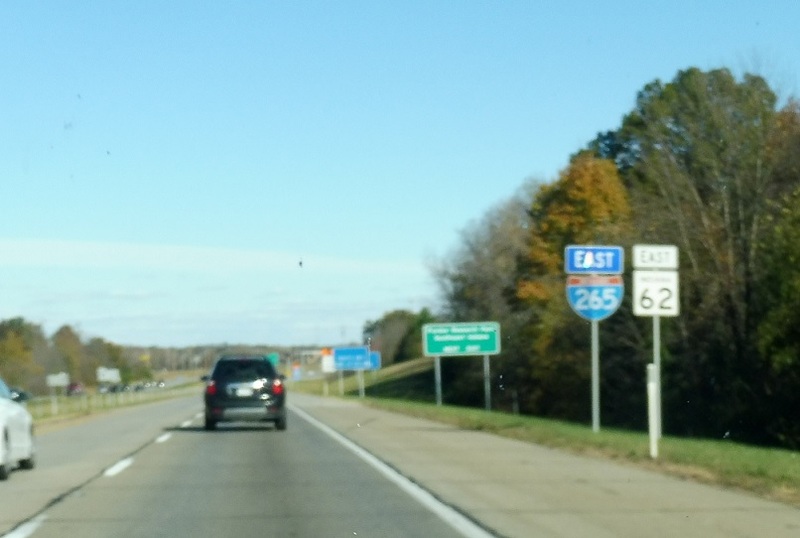 Keep left for Indiana 265, which carries Indiana 62 with it. 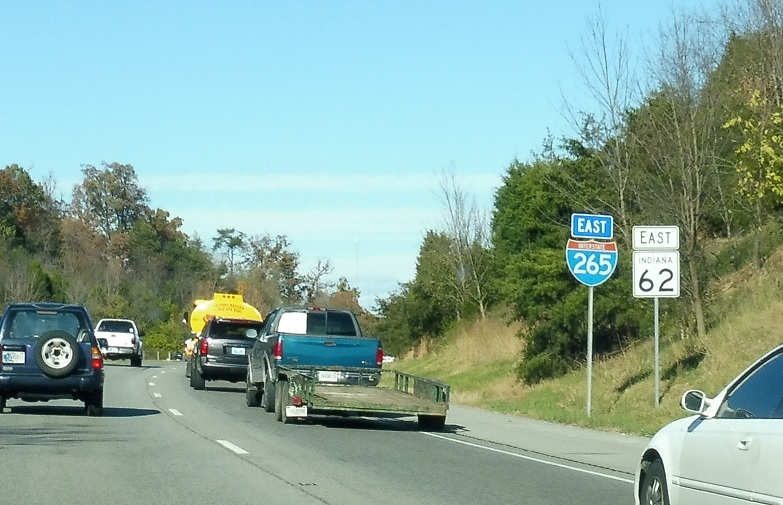 I-265 ends here for now.